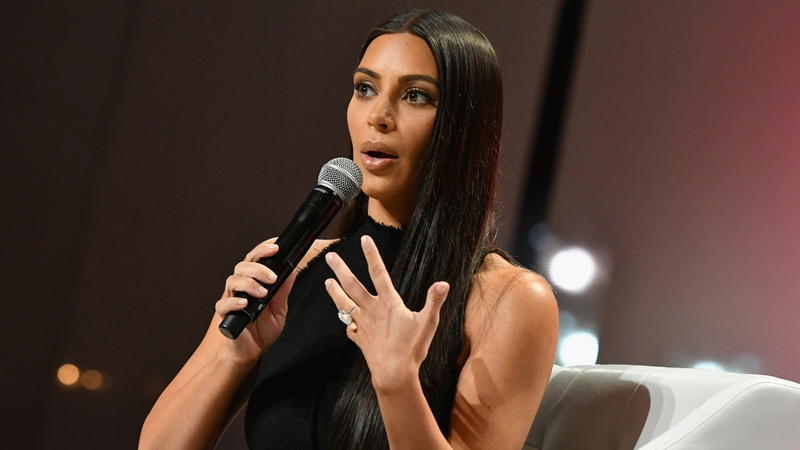 US reality television star Kim Kardashian was robbed at gunpoint at a Paris hotel by assailants disguised as police who made off with millions, mainly in jewellery, French authorities and her representative said Monday. Paris police said the loss amounted to “several million euros, mostly jewellery,” adding that they were still assessing the total amount stolen and had opened an investigation. A spokesperson for the celebrity had earlier described her as “badly shaken but physically unharmed” after the assault, which occurred late on Sunday. The spokesperson said that “two armed masked men dressed as police officers” entered Kardashian’s hotel room and held her up at gunpoint. The representative gave no further details, nor did the person say whether the incident was an attempted robbery or had another motive. Kardashian, one of the most identifiable US celebrities, has been appearing prominently at Paris fashion week. The 35-year-old starlet made headlines at the show for appearing without make-up, a bare look recently adopted by singer Alicia Keys at the MTV Video Music Awards. Also in Paris, Kardashian was last week approached by Vitalii Sediuk, a famous accoster of the stars, who was caught on video attempting to kiss her behind in an apparent social commentary. Rap superstar West learned about the assault as he headlined a music festival in New York. However, an hour into his set, West said mid-song, “I’m sorry, show’s over,” and quickly left. A festival representative took the microphone to declare a 10-minute intermission before quickly returning to say that West had a “family emergency” and had already left the venue. West had flown to Paris to appear with his wife and her sister Kourtney Kardashian on Thursday during a one-day break in his North American tour. Amid an initial lack of details over his swift exit, many fans at the festival were distraught as they poured out of the venue into the parking lot of the New York Mets’ baseball stadium. Some had waited since early afternoon to be in the front rows for him, while the merchandise stands had special lines exclusively for West merchandise with waits of one hour. The new, late-season festival was set up by the promoters of New York’s six-year-old Governors Ball who had snagged West for a June performance well ahead of his tour — but were forced to cancel his set due to weather.